Learning is fun and engaging when we have Raptivity interactions embedded in the lessons. 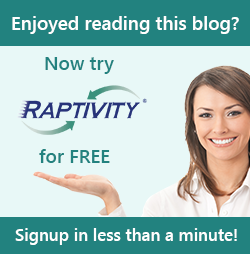 This goes without saying that you can add magic to your course content provided you know the knick-knack of this rapid interactivity tool – Raptivity. To make things easier for e-Learning and mLearning enthusiasts, Raptivity has teamed up with ElNet to arrange a series of webinars on improving engagement in learning. ElNet is a national network for individual professionals working in the Australian e-learning industry. The diverse network of Elnet covers all the facets of eLearning such as content and technology vendors, tertiary providers of education or training, learning service providers, teachers, trainers, etc. The first webinar lined up in this series is: Topic - Making eLearning Interactive and Fun Speaker -Jamaica Bracken, Chief Product Speaker Date & Time - 28th August 2012, 10:00 AM - 11:00 AM AEDT. Jamaica will touch base on how to make elearning content fun and interactive with the use of advanced technologies. She will also showcase some examples of interactive lessons created using Raptivity software which is easy to use and implement in your elearning courses. The interactive webinar will be followed by a Q&A session. Join this free webinar by registering at the ElNet events page. Hurry as seats are limited.